Many people need air conditioning in their homes and offices in more than just the one room, sometimes it can be hard to find a place to put several condenser units though. 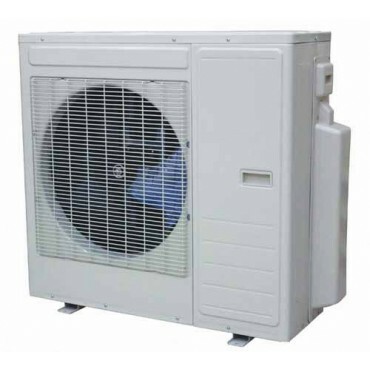 These multi-split air con units have got the ability to connect up to 4 internal evaporator units to a single external condenser unit. These Multi Inverter Condenser Units feature state of the art DC inverter technology, allowing them to have super high efficiency with most of the units having energy ratings of AA+. All of the units run with the latest R410a refrigerant which is super efficient and friendly to the environment. Each evaporator comes with its own remote control and can be run on their own individual temperature, however they all must be on either heating or cooling mode at the same time. Question about 11Kw 30000btu 3 Head Outdoor Unit is Successfully Submitted.